Two Avengers animated movies are being developed and the Wolverine live-action film is targeted for 2007, Marvel revealed today in discussing its third-quarter earnings. Both Avengers films are currently being worked on, sources told The Continuum, with plans for quarterly animated releases that will also include Hulk and Iron Man. * Elektra, New Regency/ Fox - Filming completed, Jan. 14 release. * Fantastic Four, Fox - Filming started, July 1 release. * X-Men 3, Fox - May 5 release. * Iron Man, New Line Cinema - Script. * Ghost Rider, Sony - Script, Director, Pre-production. * Luke Cage, Sony/Columbia - Script, Director. * The Punisher 2, Lions Gate - Writer, Director. * Deathlok, Paramount - Script, Director. * Spider-Man 3, Sony/Columbia - Director, May 4. * Namor, Universal Pictures - Script. * The Hulk 2, Universal Pictures - Development. * Wolverine, Fox - Development. *Partnership with Lions Gate to develop, produce and distribute original animated DVD features. Four projects in 2D/3D format are in development with the first release slated for 2006. Projects include: The Avengers 1, The Avengers 2, Iron Man and The Hulk. * Partnership with Antefilms Distribution to produce an original animated television series based on the Fantastic Four. 26, thirty-minute 2D/3D animated episodes are planned with initial TV airings in 2006. * Blade and Brother Voodoo. Titles include Astonishing X-Men #6, Avengers #503, Exiles #54, Marvel Age Fantastic Four #8, Marvel Age Spider-Man #15, Spider-Girl #80, Spider-Man Unlimited #6, Tomb of Dracula #2, Uncanny X-Men #452 and Venom vs. Carnage #4. Dreamwave Productions has released its solicitation information for January. Marvel Comics has announced that Paul Jenkins, will be ending his run on Spectacular Spider-Man. Jenkin's last issue is slated to ship in March, after a short fill-in by writer Samm Barnes and penciler Scot Eaton who will be completing the "Sins Remembered" storyline. Marvel editor-in-chief Joe Quesada said, "Paul is a true professional but I also know that over the last year and a half he's been fighting some difficult health issues all the while giving Spectacular and the fans his best work. We at Marvel really want to thank him for his years of hard work he's put into Spider-Man and we're sorry to see him leave the title. Much like Ultimate Team-Up was a vehicle created for Brian Bendis to shine and then canceled with his departure, the same can be said about Spectacular Spider-Man. 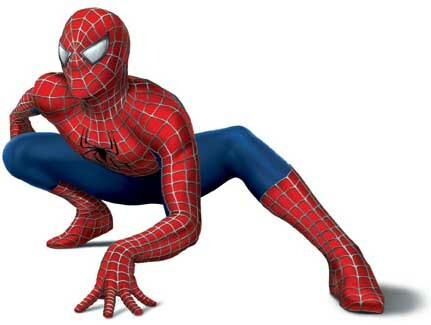 Spectacular Spidey was created for Paul and Humberto to tell their brand of Spider-Man stories. Without them attached to the series we've decided to close up shop on the title and call it a day with issue #27. But on that note, stay tuned for some new and exciting Paul Jenkins announcements!" "Some things are too good to be true." Said Jenkins. "Writing a monthly Spider-Man comic is one of them. These last four or five years have been a wonderful experience for me. I've had the opportunity to work with some of the best artists in the world on a character I truly love. Fifty-six issues, by my count; that's not a bad run at all." Jenkins has had to undergoe six knee and ankles surgeries in the past four years and suffered a staph infection as the result of one of them. "Don't worry... my health is okay but I think I need a little time to recharge," he said. "While all good things must come to an end, this is far from the end for me. In fact, I am moving onto different projects, and I can't tell you all how energized I am as I undergo this transition. I have a couple of projects at Marvel that I hope will blow your socks off over the next couple of years -- watch the skies for more info. In addition, I am working on numerous video games, I recently directed for the first time and am looking forward to new projects with my production company, Good Cop/Bad Cop." Clive Barker's The Thief of Always will be published by IDW Publishing as three bi-monthly, full-color, 48-page issues starting in January. "I'm delighted that this story, which was my first venture in writing for children, will now find a new audience through this beautiful new edition," Barker said. The story will be adapted in comic form by writer Kris Oprisko and artist Gabriel Hernandez. Perennial, an imprint of HarperCollins Publishers, has announced the launch of a new Simpons series, The Simpsons Library of Wisdom, which will be introduced in November with two inaugural volumes, The Bart Book and The Homer Book. With the publication of these books, Perennial will have more than 5 million Simpsons books in print. * For Friday, Oct. 22, including Marvel's solicitations for January, CLICK HERE. * For Thursday, Oct. 21, including Marvel news, CLICK HERE.